SkinReactor – make a difference in treatment of severe burns for children. With our cell-growing machine especially designed for bioengineered skin, every child will only need one surgery! This project ended successfully on 9/4/2017 22:00! Thank you! You’ll receive a SkinReactor postcard! Thank you for your support! You’ll receive a special signed SkinReactor postcard! Thank you very much for your help! With your help we can make it! We will send you an exclusive SkinReactor patch set. Thank you very much for your help! 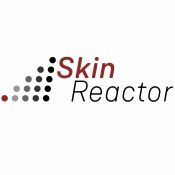 You provide a valuable contribution to the SkinReactor project! You’ll get a SkinReactor FAN SET: a patch set, bandages as well as a postcard! Many thanks for your generous contribution! We send you our unique SkinReactor FAN SET: A first aid box together with a postcard. Your support will shape the future! Many children will say thank you! As you are so generous we would like to meet you. We invite you for an aperitif with the team members at the Technopark in Zurich (near Hardbrücke). WOW! Thanks to your help we’ll make it make it for sure! As you are so generous we would like to meet you. We invite you for an aperitif with the team members at the Technopark in Zurich (near Hardbrücke). Additionally we would like to hand you over our exclusive SkinReactor first aid kit and if you would like you would get a Facebook post on our site and being mentioned as a sponsor on our website! Our project focuses on the automatisation of human skin production. Scientists have already developed a new method for creating bioengineering skin for burn victims. However, this process is 100% manual at this stage and thus time-consuming, error-prone and expensive. Our goal is to develop a new device to automate the production of this bioengineered skin. Get involved and help researchers and citizen scientists find out more about the world that surrounds you! To double the impact, the Gebert Rüf Stiftung has pledged to match the amount you contribute to successful science projects on wemakeit. In other words: for every Swiss franc raised, the project gets another Swiss franc. Interested in raising funds for your science project? All necessary information and the conditions of participation are available here. You can also contact us by email: science@wemakeit.com.